You are currently browsing the archive for the 2007 category. 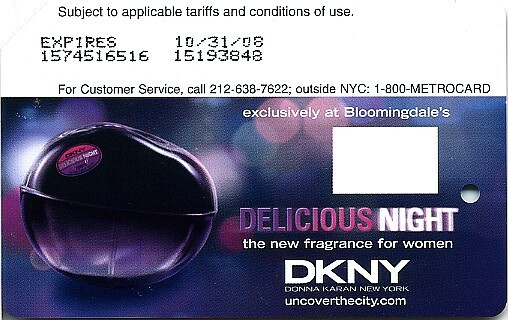 DKNY fragrance for women Delicious Night metrocard was sponsored by Bloomingdale’s. 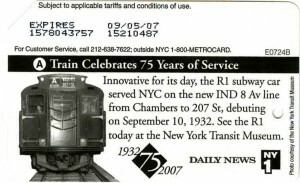 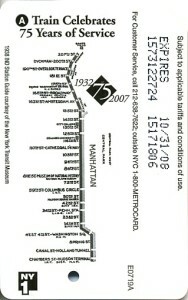 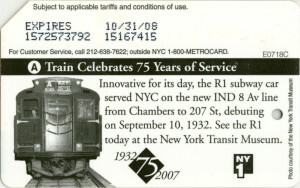 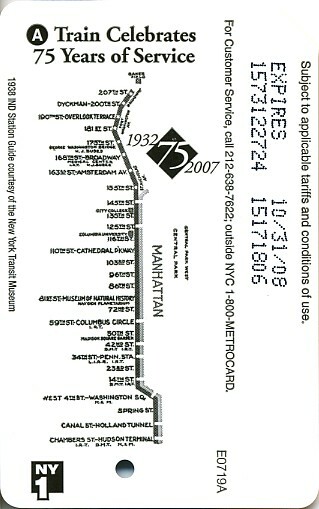 In 2007 MTA celebrated 75 years of service by A train. 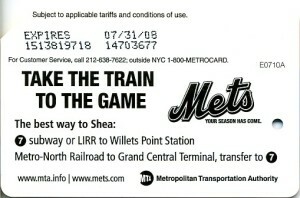 To commemorate this event set of 2 metrocards sponsored by Channel NY1 were issued. 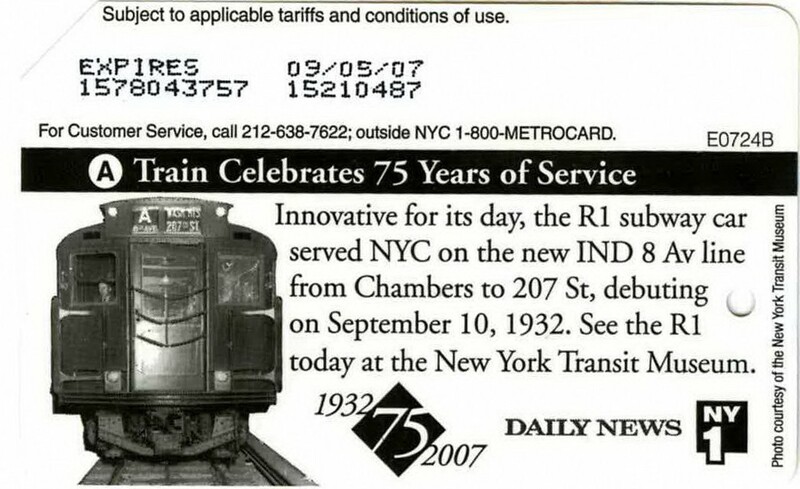 On exact day when service started old train was running alone that route and lucky passengers could get the same metrocards sponsored in addition to NY1 Channel by newspaper Daily News. 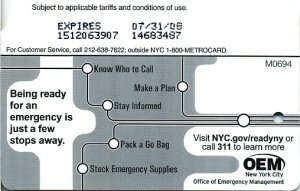 There are very few metrocards with Daily News logo. There is also leaflet has been published. 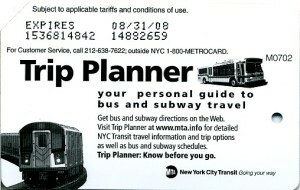 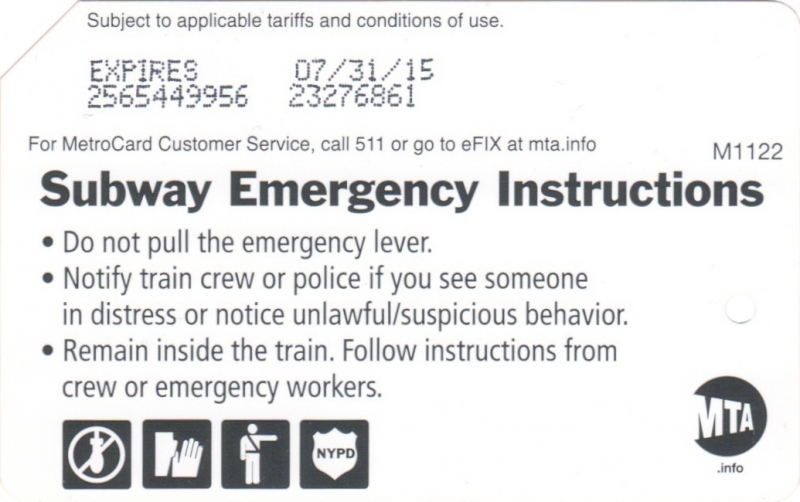 MTA issued this metrocard to promote usage of it newly redesigned web site mta.info. 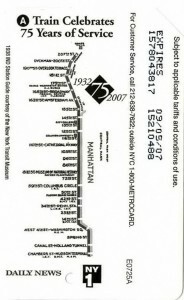 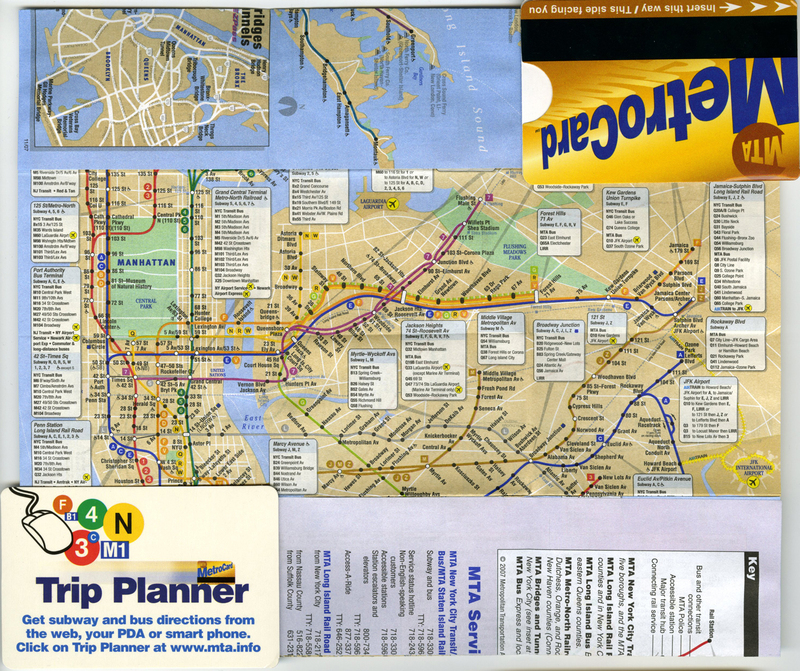 MTA also issued a folded subway map with the same title. 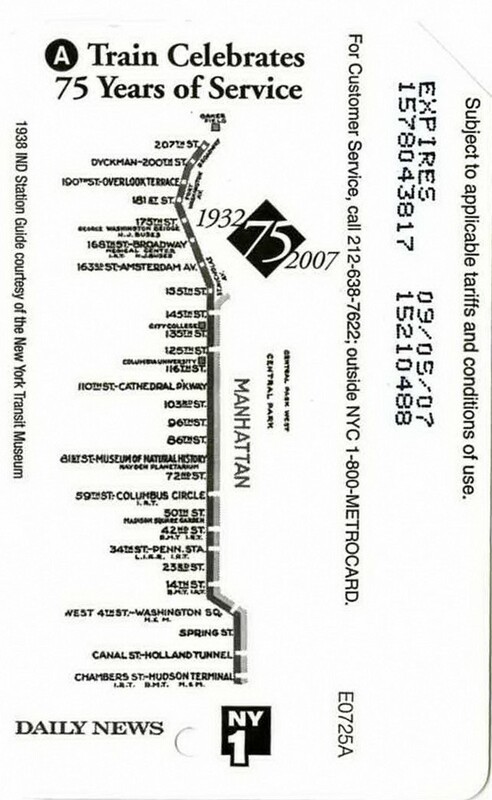 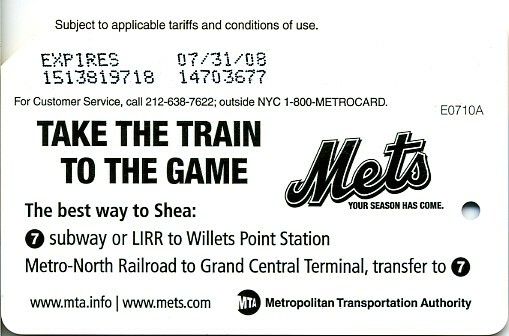 In 2007 MTA issued for the second time metorcard to promote using public transportation to get to Mets games at Shea Stadium. 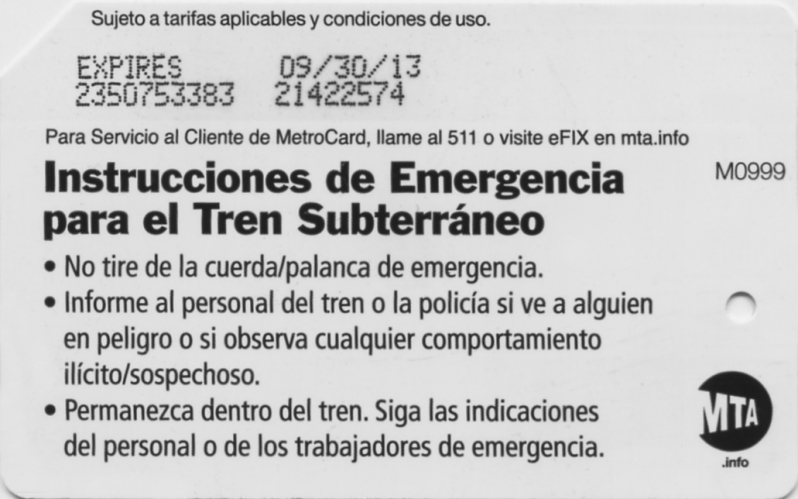 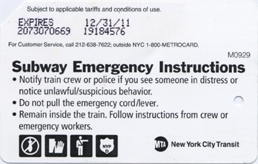 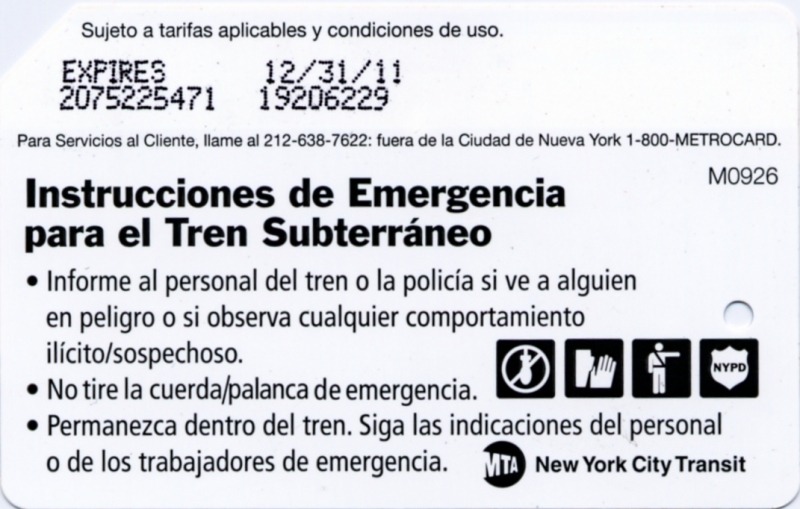 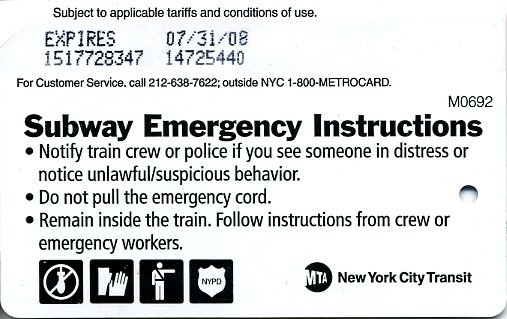 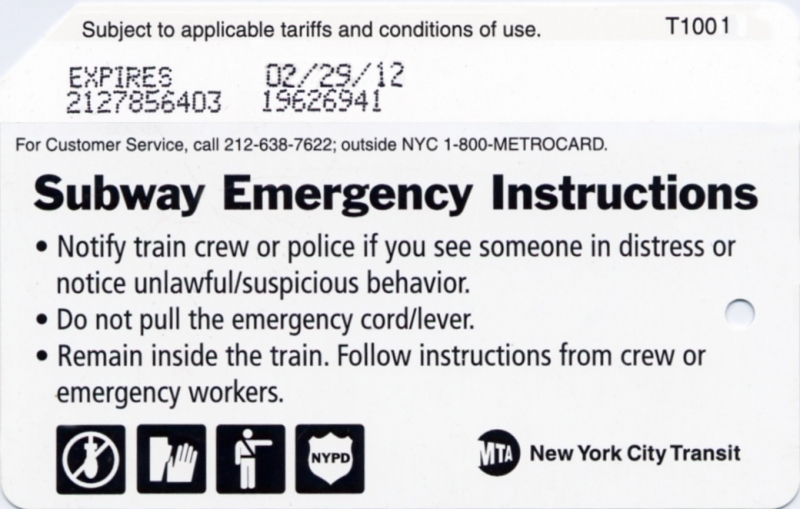 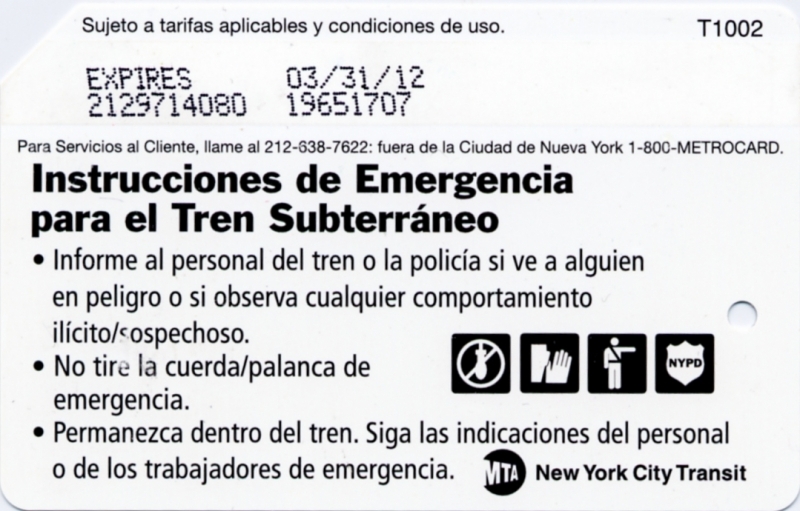 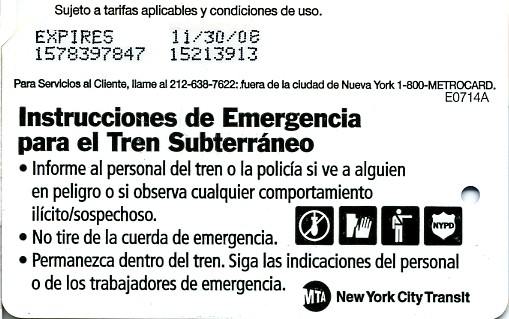 Office of Emergency Management (OEM) of New York city set contains of 2 metrocards with exactly the same design and difference is one is in English and another in Spanish. 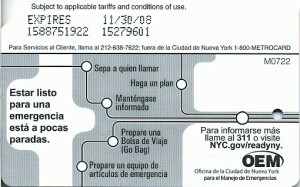 Spanish version was issued in far less number than English one. 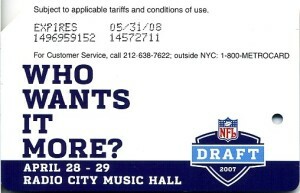 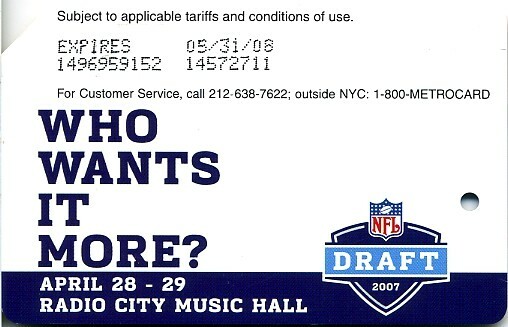 NFL Draft of 2007 was held at Radio City Music Hall on April 28-29, 2007.